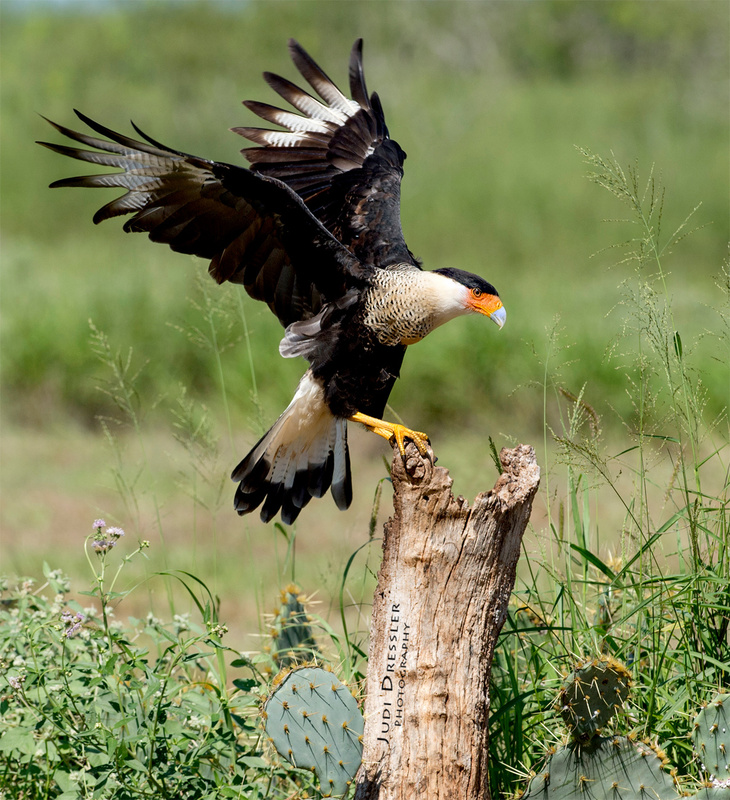 Crested Caracara landing on a branch in South Texas. This one circled above for a while, finally landing high on this perch, as if to survey his territory. There were quite a few of them, all circling something dead on the ground. These colorful raptors are also scavengers and, like vultures, feed on carrion. Photo taken on October 7, 2017, near McAllen, Texas.